The Raiders are off to a perfect 2-0 start both straight-up and against the spread with a 26-16 victory against Tennessee as 2.5-point road underdogs followed by last Sunday’s 45-20 romp over the New York Jets as heavy 13.5-point favorites at home on BetAnySports’ closing line. The total stayed UNDER 50 points against the Titans, but it easily went OVER 43.5 points in Week 2. Oakland is now 9-4 ATS in its last 13 games. In last week’s win over the Jets, Derek Carr was an efficient 23-for-28 throwing the ball and he ended the game with 230 yards passing and three touchdown throws. Michael Crabtree had a big day with six receptions for 80 yards with three of those catches resulting in scores. 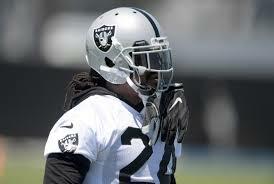 The Raiders’ running game piled up a total of 180 yards and three more touchdowns on 27 rushing attempts to create one of the best balanced performances in Week 2. Oakland’s combined 71 points scored in the first two games leads the NFL. Washington bounced back from a 30-17 loss to Philadelphia in its season opener as a slight one-point home underdog with last Sunday’s 27-20 squeaker against the Los Angeles Rams as a three-point underdog on the road. The total stayed UNDER BetAnySports’ 49.5-point line in the loss to the Eagles and it ended as a PUSH in the game against the Rams. The total has actually gone OVER in 17 of the Redskins’ last 23 games, including eight of their last 11 games at home and something to consider when making your NFL football picks. Kirk Cousins hit Ryan Grant for an 11-yard touchdown throw with less than two minutes to play last Sunday to break a 20-20 tie, but it was the ground game that deserves most of the credit for the win. After gaining just 64 yards on 17 carries in that Week 1 loss to Philadelphia, the Redskins racked up 229 yards on the ground against the Rams with three different players rushing for at least 67 yards. Washington rushed the ball 39 times for an average of 5.9 yards a carry.